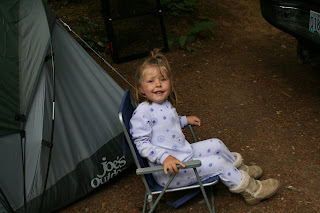 We have been really busy lately, but here are some pictures of our camping trip. We had a really good time with all the cousins. 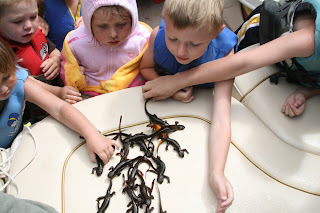 We caught 18 salamanders and the kids had a blast with them. Thank goodness no one squeezed too tightly on any of them. It was really cold that morning so the only people in the water were Scott and Lucy rounding them all up. Here is a picture of our new boat you can't really see it but it's 18.5 feet long and is in really good condition. Till of course we get some hours on the boat. 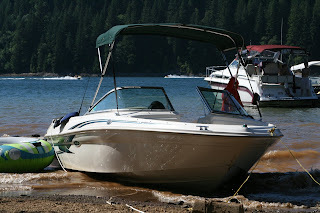 Lucy will ride in the tube behind the boat at full speed now, she has no fear of water. 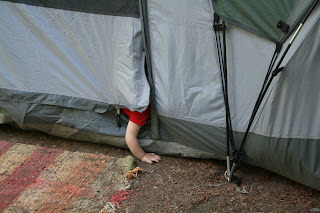 This was Talmadge's first camping trip. 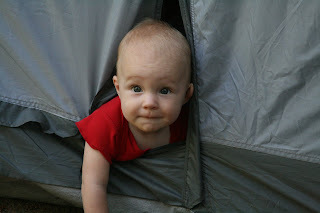 He had alot of fun, he is at the age where he wants down all the time so he can crawl everywhere so it was pretty difficult to keep him clean and happy ;) He kept trying to get out of the tent and escape, he would do this over and over again. Pretty funny to watch. Of course the nightly bath in the tiny tub which he just loved. So much fun!! It looks like you guys had a blast. 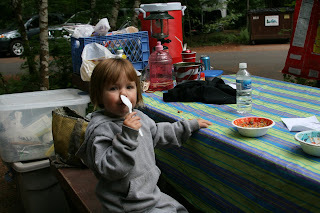 I agree with Lisa Brown - the salamanders were gross!! 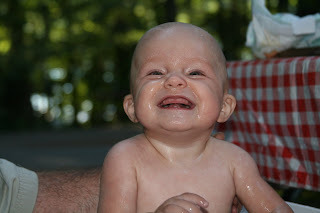 But Talmadge is so cute! !